If you weren’t paying attention today, you might have missed a tremendous moment for liberty that happened yesterday evening. 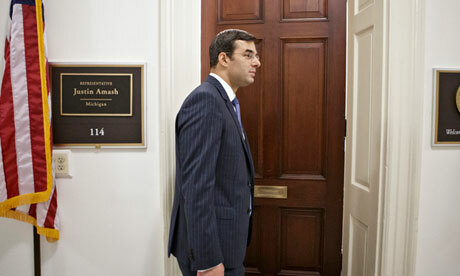 The House of Representatives debated an amendment introduced by Rep. Justin Amash to a defense appropriations bill. The amendment would have significantly limited the authority of the NSA to collect data on American citizens who are not under investigation already. The House didn’t think so, and instead chose to vote with what the White House, not the majority of Americans, wanted. In a final vote of 217-205, and reportedly after some intense lobbying from the White House, the House decided that it wasn’t reasonable to limit data collection to people who were under any reasonable suspicion of being involved in terrorism. We’ve learned some important things today. The government’s encroachment on our individual liberties is reaching a dangerous tipping point. We’ve known for years that things like the PATRIOT ACT allowed for, shall we say, more creative interpretations of certain civil liberties such as the right to have warrants “specifically describe” the places to be searched. For years, the retort to this concern has been “if you’re not doing anything wrong, why should you worry?” As we can see now, the government doesn’t care if you’re doing anything wrong or not, they will collect massive amounts of information on you anyway; just in case you do sometime in the future, I suppose. There’s no such thing as presumption of innocence when it comes to the catch-all justification of “national security,” even though the fact that there should be was once self-evident. I don’t think everyone in the government, the NSA, or the intelligence community is malicious. They’re people. I’m sure some of them are prudent. 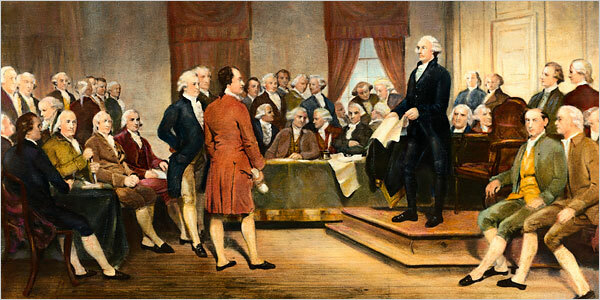 But our government was created to be a government of laws, not of men. The protection of our data, our privacy, and our rights, should not rely on the good intent of people given immeasurable power. That is not how our government was intended to work. But, liberty lovers, this is not the time to be discouraged! A few years ago, the American public largely didn’t care about the NSA, the PATRIOT ACT, or civil liberties concerns. For years and years, Ron Paul introduced legislation that died in committee with few or no cosponsors. The lone voice crying in the wilderness has retired from politics, but his profound influence has helped the people who followed him have quite a few allies. Let’s return to the vote itself. 205 voted in favor. 217 voted against. That’s a difference of twelve votes. There are 435 members of the House of Representatives. Twelve is nothing. The congressmen who voted against it can lose elections. Now it’s our responsibility not to let this issue go by the wayside. Don’t let people tell you they’re tired of hearing about it and change the subject to some fleeting thing like mayoral candidates who have problems with monogamy and discretion. These are our liberties. We can still get them back. We’re already winning. 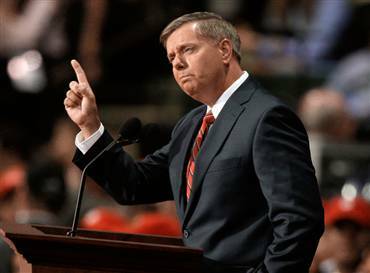 Let’s get those twelve votes – or those two-hundred seventeen – out of office. We have just one year until we get our first chance. Let’s not let them forget that they betrayed liberty and the will of their constituents. “Absolute monarchs are but men… I desire to know what kind of government that is, and how much better it is than the state of nature, where one man, commanding a multitude, has the liberty to be judge in his own case, and may do to all his subjects whatever he pleases, without the least liberty to any one to question or control those who execute his pleasure and in whatsoever he doth, whether led by reason, mistake or passion, must be submitted to.” (John Locke, Second Treatise on Civil Government, emphasis added). By now, most readers are probably familiar with the evolving scandal involving the National Security Agency’s surveillance program and the release of Verizon phone records. Today, President Obama tried to reassure the nation that the program is seriously no big deal, guys, and we are all being just way too crazy about all of this. So, in other words, if I don’t trust the government not to trounce on my liberties when given the opportunity, I’m going to have some problems? John Locke is judging you, President Obama. In addition to reassuring Americans that it’s really okay if the government is seizing your phone records, because they have the best of intentions, Obama also managed to deliver some funny-if-it-weren’t-so-sad doublespeak, reassuring Americans that the programs aren’t “secret,” they’re “classified.” He continued, asserting that Americans don’t need to know the daily workings of homeland security anyway. First of all, I am pleased to see that many mainstream liberals are calling the President out for his ridiculously unsatisfying reasoning. Sadly, not everyone feels the same way. Amidst the chorus of intellectual gymnastics that many are going through to justify this, the familiar chorus of “who cares about privacy if you’ve got nothing to hide?” has become sadly common. Privacy is at the heart of American liberty. We are, at our core, individualists. Although our constitution doesn’t specifically grant us a right to privacy, the underlying message of much of the language of our founding documents is that there are areas into which the government does not intrude, unless absolutely necessary. The fourth amendment in particular discusses the concept of ownership – and how the government shouldn’t intrude on people’s personal effects without warrants “particularly describing the place to be searched.” The fact that we have to defend the idea of personal privacy in the face of “who cares about privacy?” is really, frankly, quite sad. We shouldn’t even have to be defending against this asinine response. Now, I am one of those slightly more “statist” libertarians who believes that there is some validity to keeping sensitive information secret. I don’t think we need to know the daily workings of homeland security, the police, or the military as long as said activities aren’t actively infringing on our rights. That seems to be the point that the President and his apologists are missing here. Of course, none of this is as ludicrous as the idea that the validity of power is based on whether someone has good intentions. 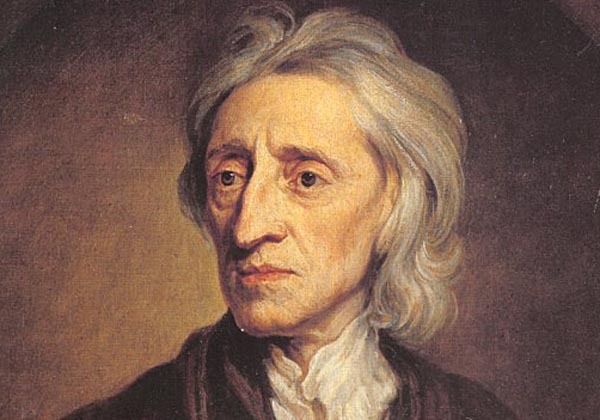 I feel that John Locke’s quote that opens this article can also be applied even when the leader is not quite a monarch. The very reason that this system of government was created was for it to be “a government of laws, not of men.” We have The Rule of Law precisely so we don’t have to rely on the virtue of imperfect men and women. Regardless of whether the whims of the individual leader are based on “reason, mistake or passion,” or “balancing security and privacy,” I would rather rely on the Constitution. It is disappointing that this is anything less than obvious.